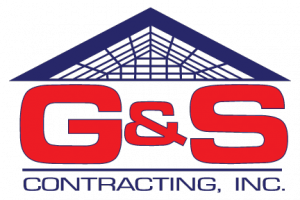 Tips to Updating Doors & Windows in Your Home | G&S Contracting, Inc. Doors & windows play a huge role in a home. Often, they are features that we overlook. However, they are a vital piece of what makes a home look beautiful as well as being features that are essential to protecting your home from wear and tear. As you update your home, it is important to find a balance between beauty and efficiency. This is especially true for doors & windows. Not only will they set the tone for the design of your home, they are also an essential point when it comes to keeping your home safe from weather intrusions. Choose Quality: It can be daunting to choose doors and windows, but it is very important to choose models that will stand the test of time. Though it may seem more expensive, choosing quality products will pay off in the long run. Quality products will last long, keep your house up to date, and add value to your home. Work with an Expert: When it comes to choosing the right products, be sure to consult a contractor who knows what they are doing. If you are putting the money and effort into replacing doors or windows, you need someone who will provide quality advice. Get the Best Installation: Not only should you consult a contractor to choose the right products, you should also work with an expert contractor for installation. Using a veteran contractor means you will benefit from their experience! Need help finding doors or windows? Contact us to update the doors and windows in your home.